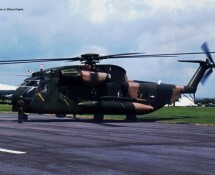 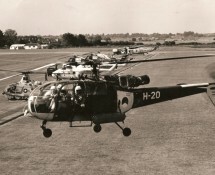 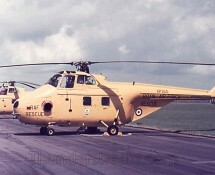 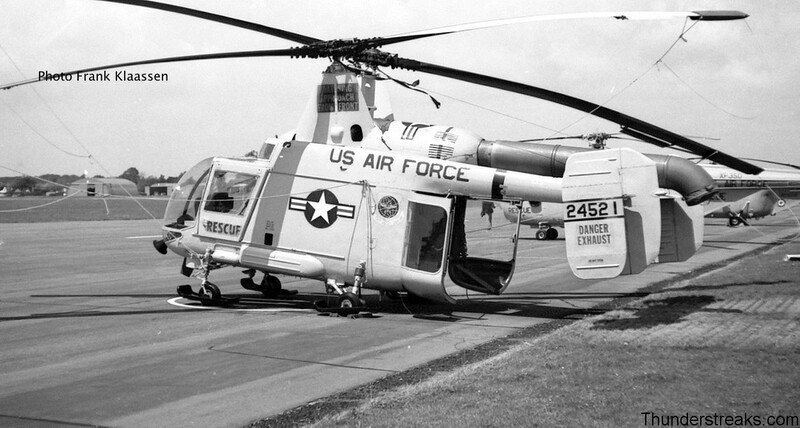 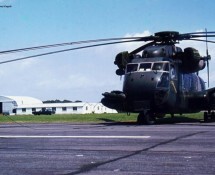 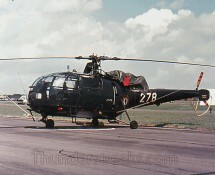 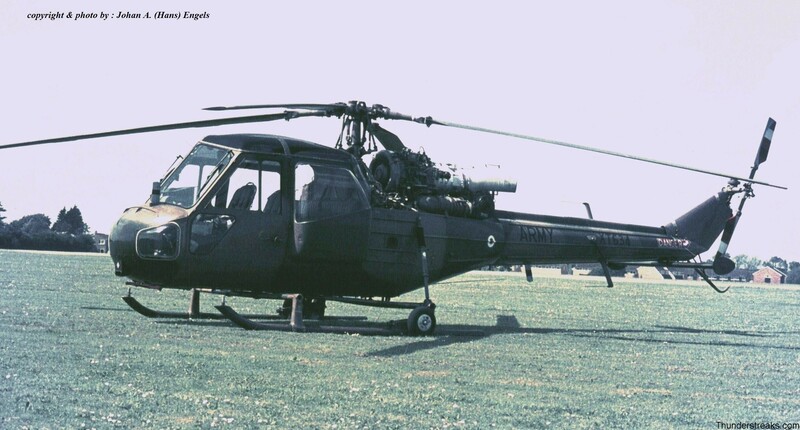 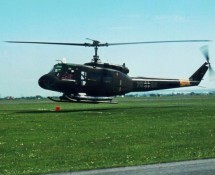 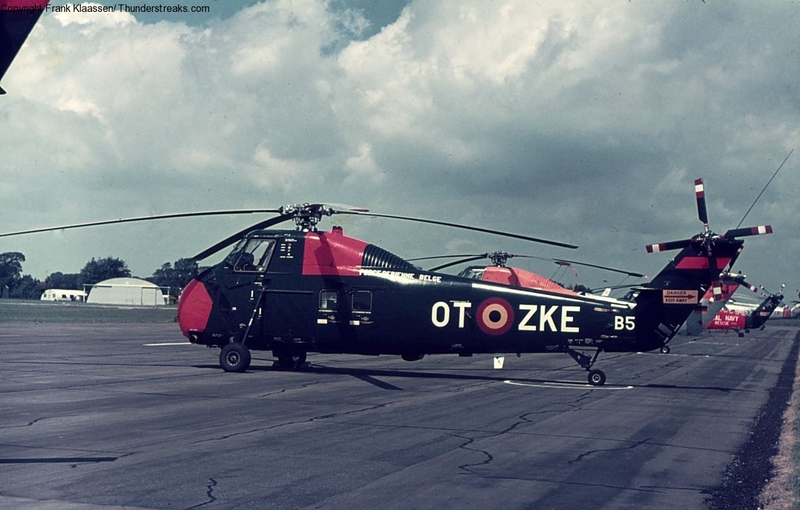 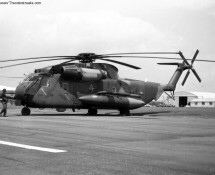 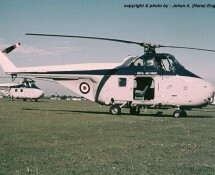 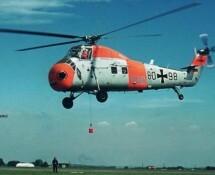 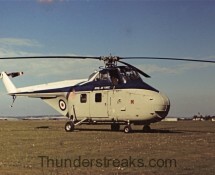 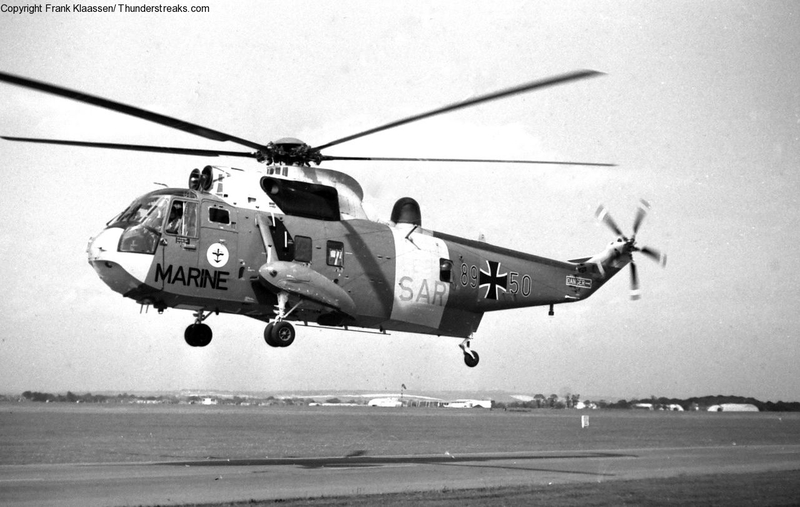 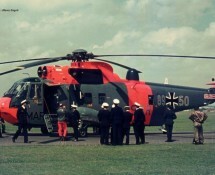 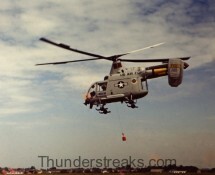 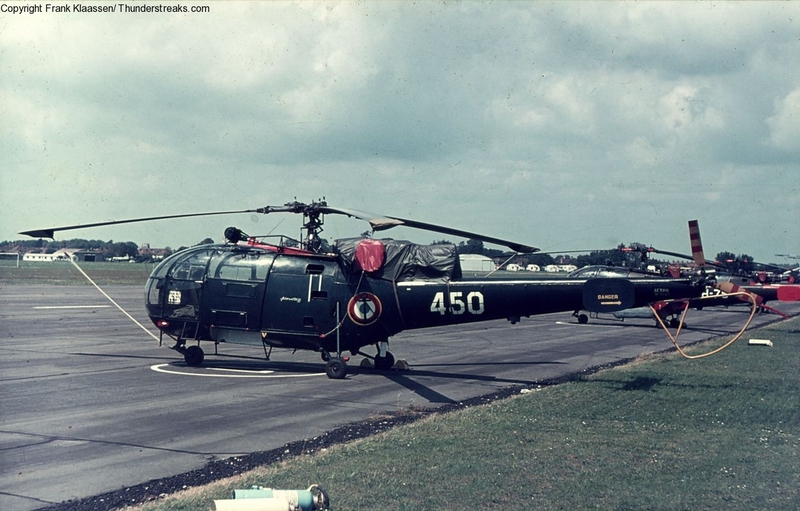 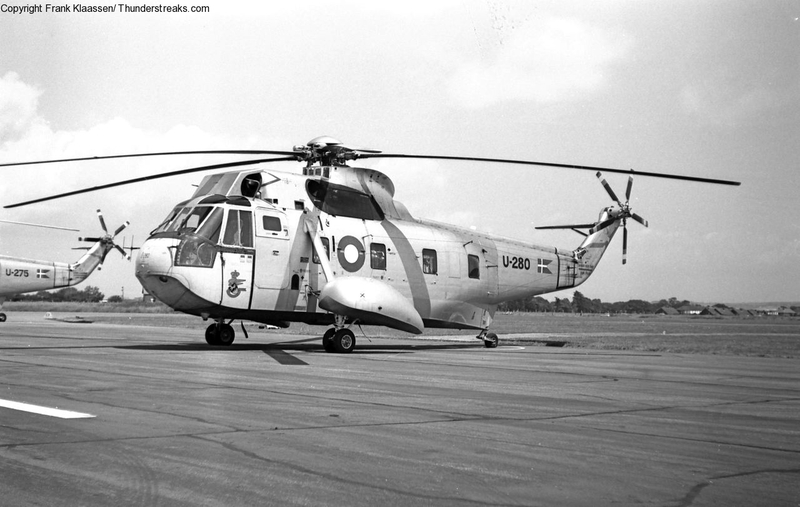 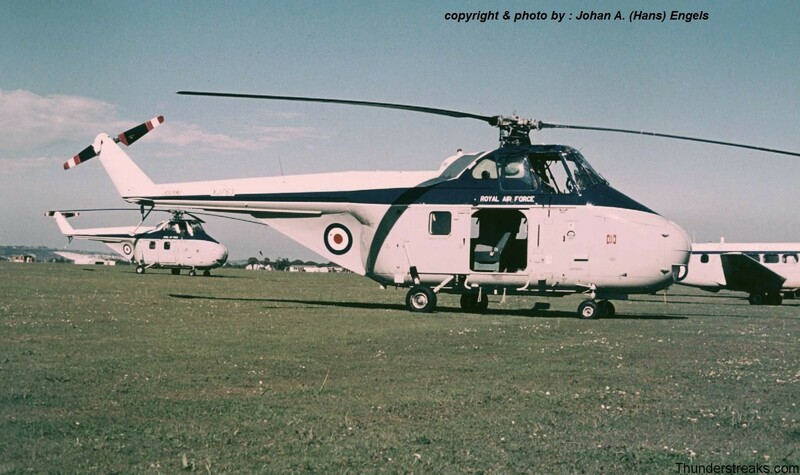 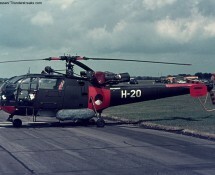 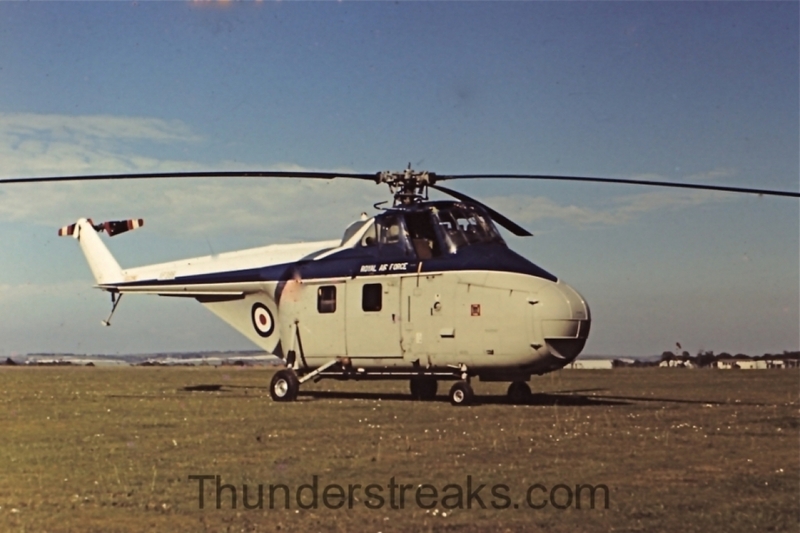 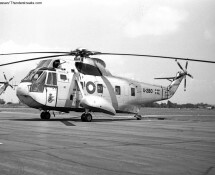 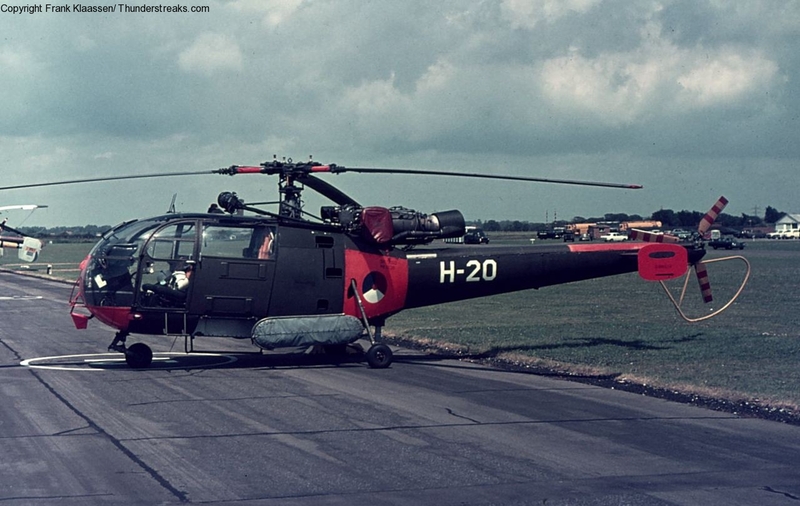 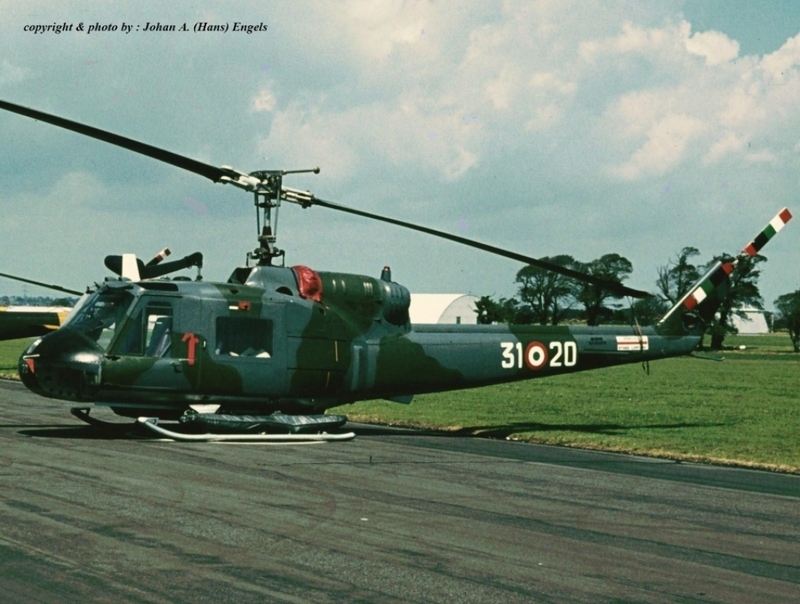 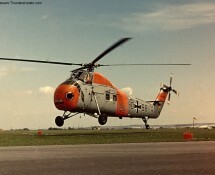 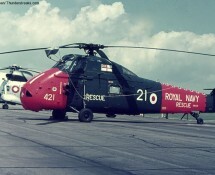 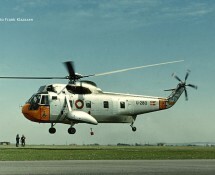 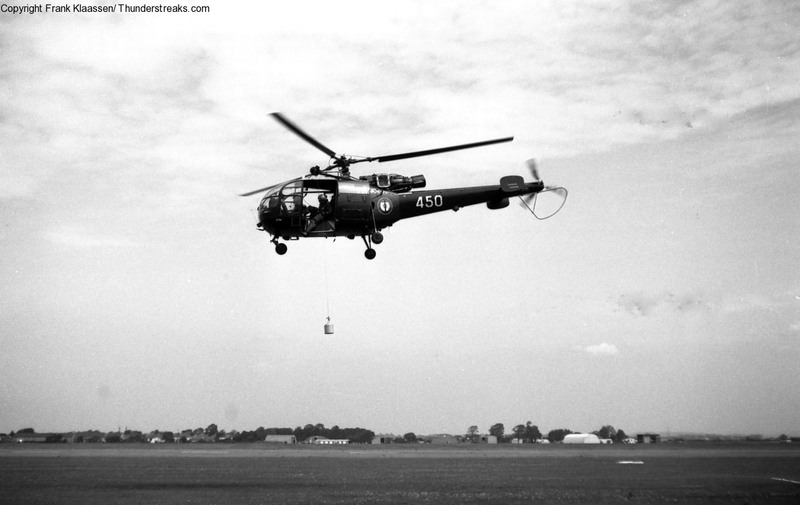 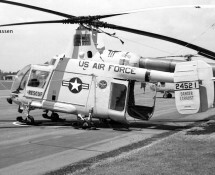 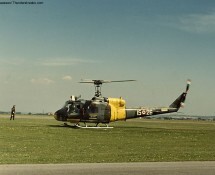 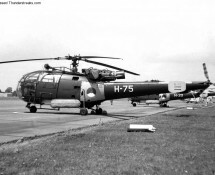 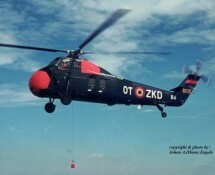 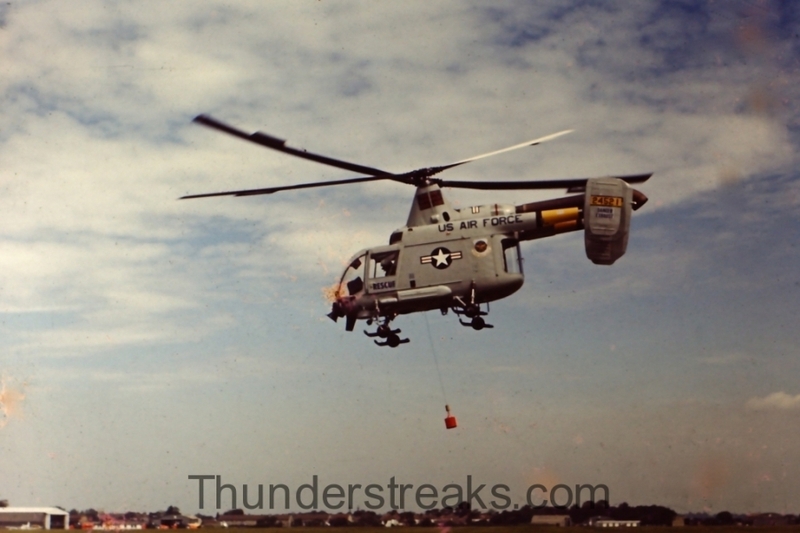 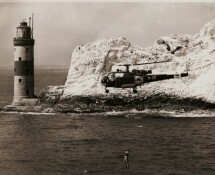 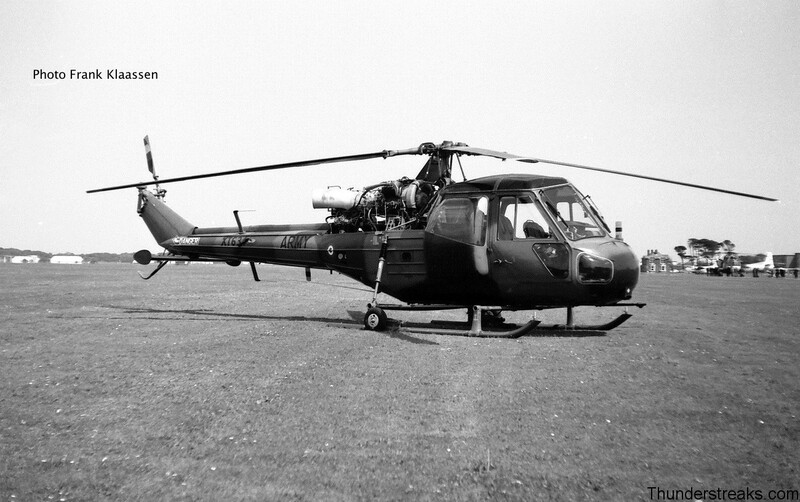 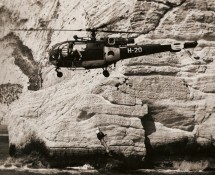 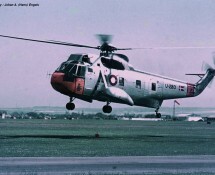 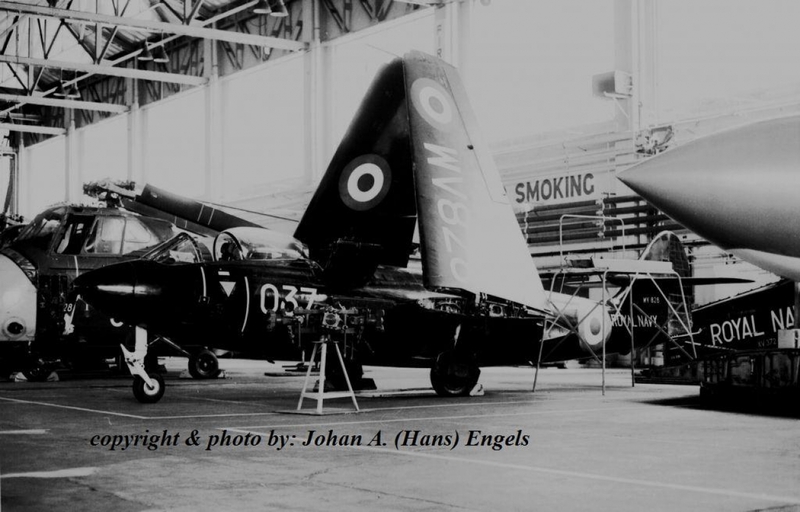 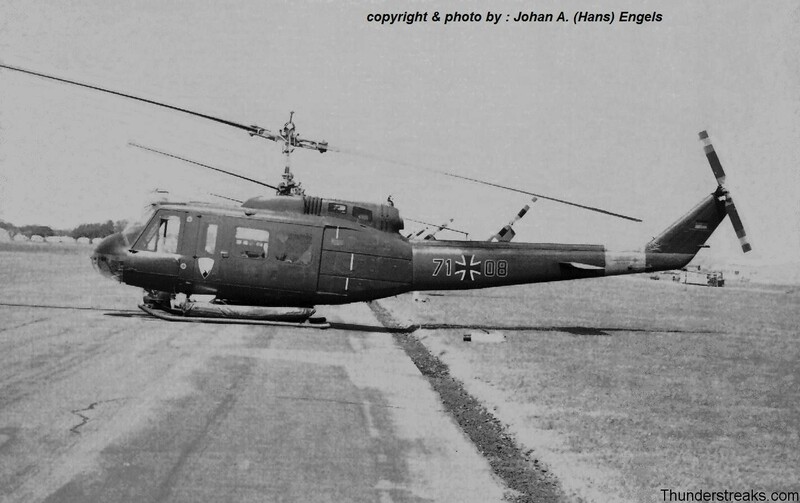 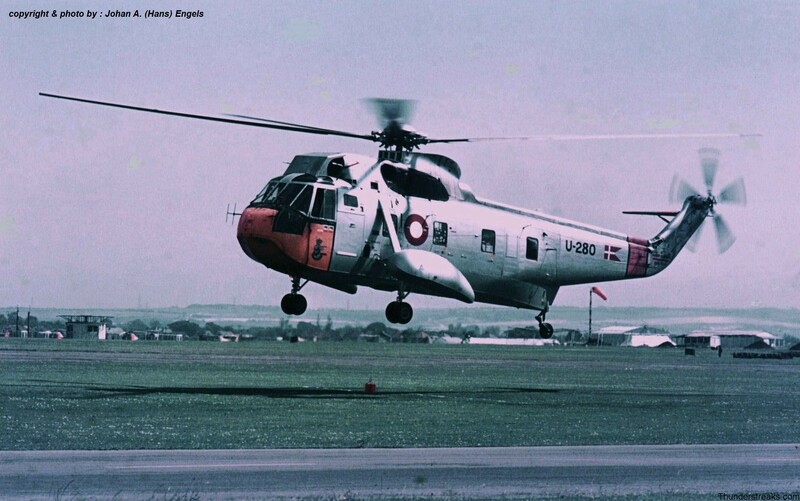 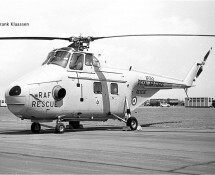 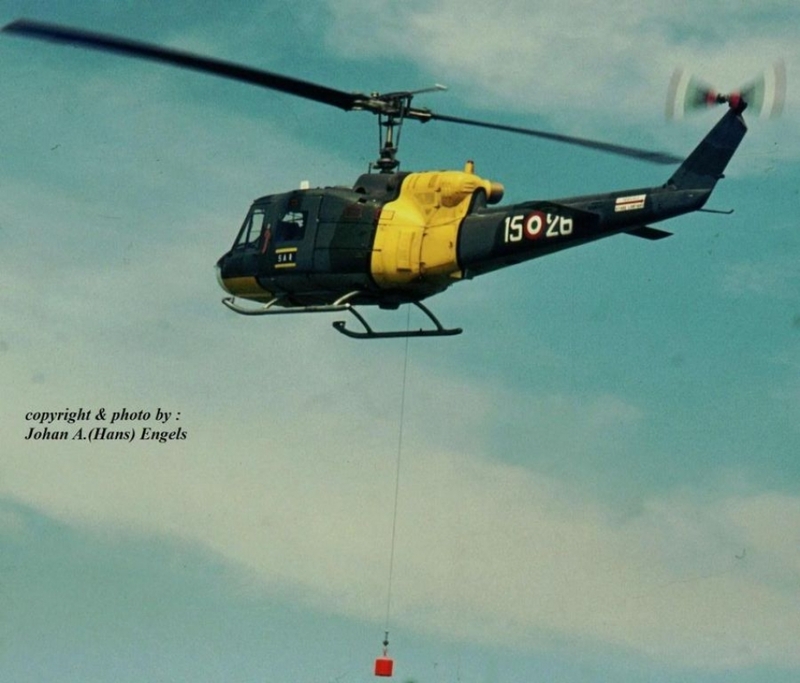 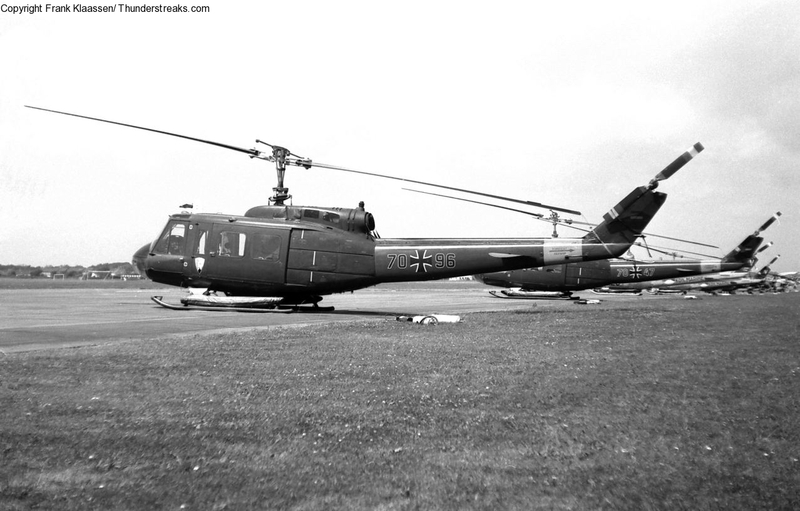 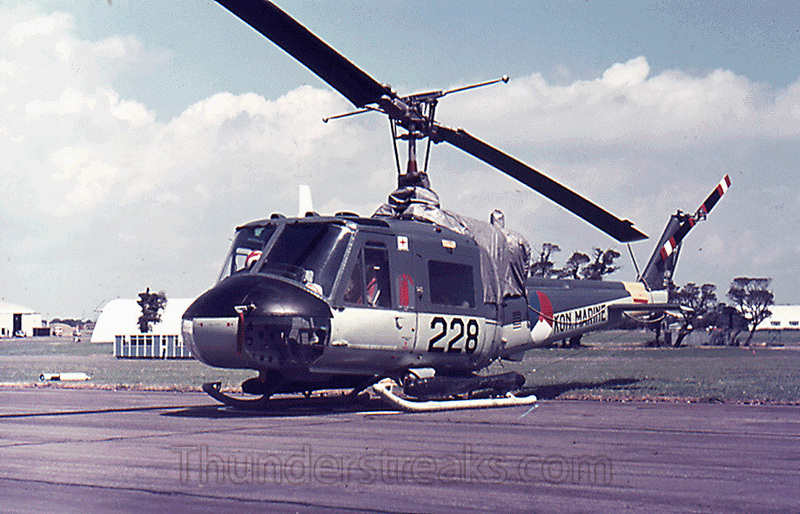 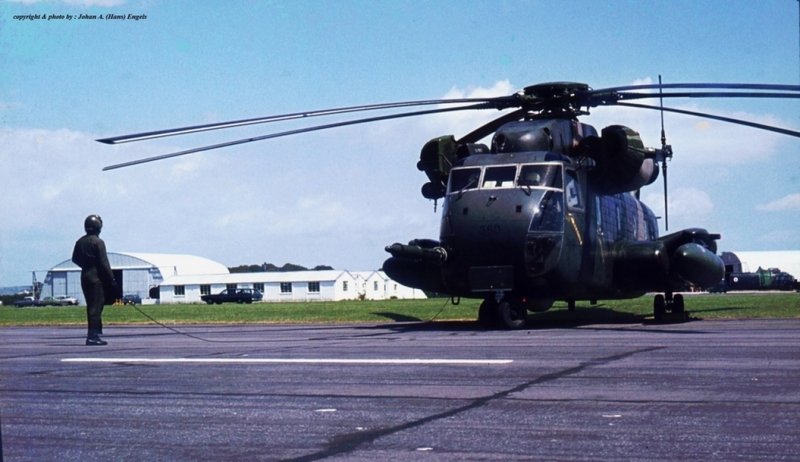 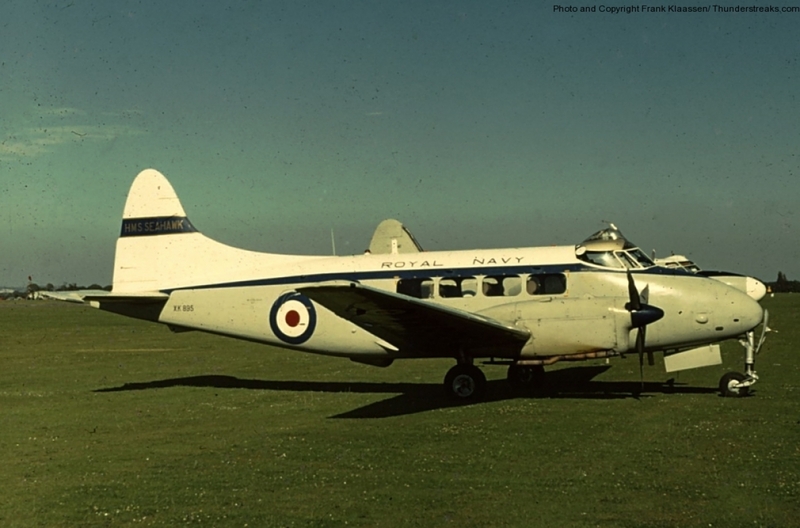 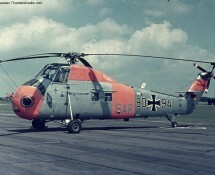 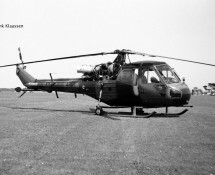 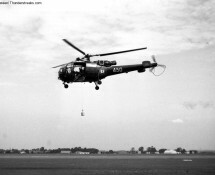 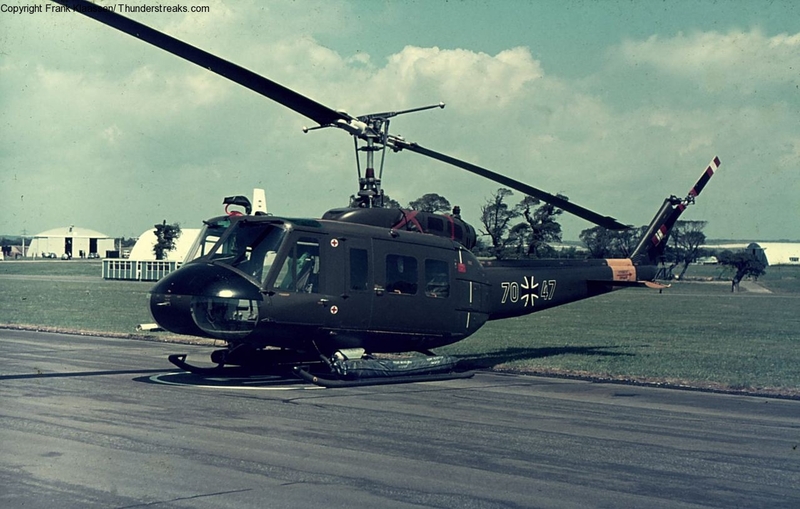 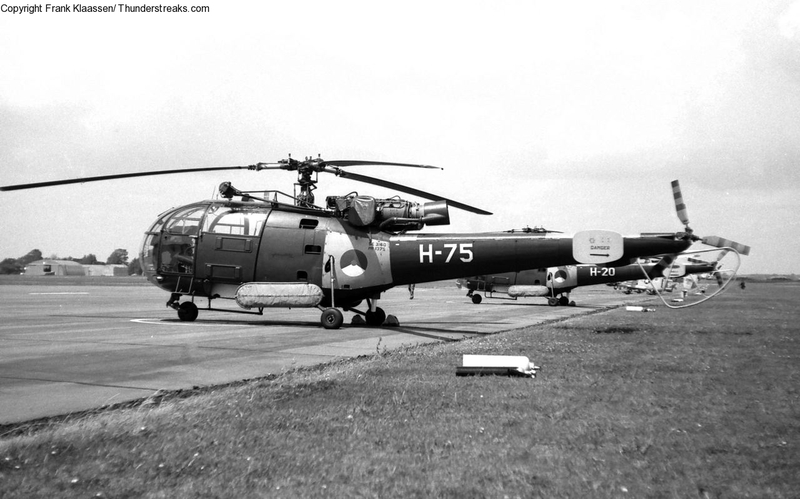 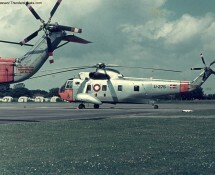 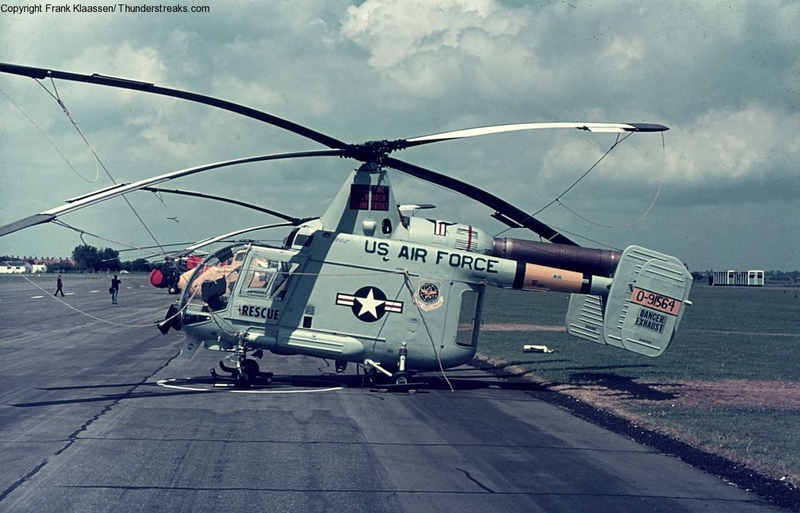 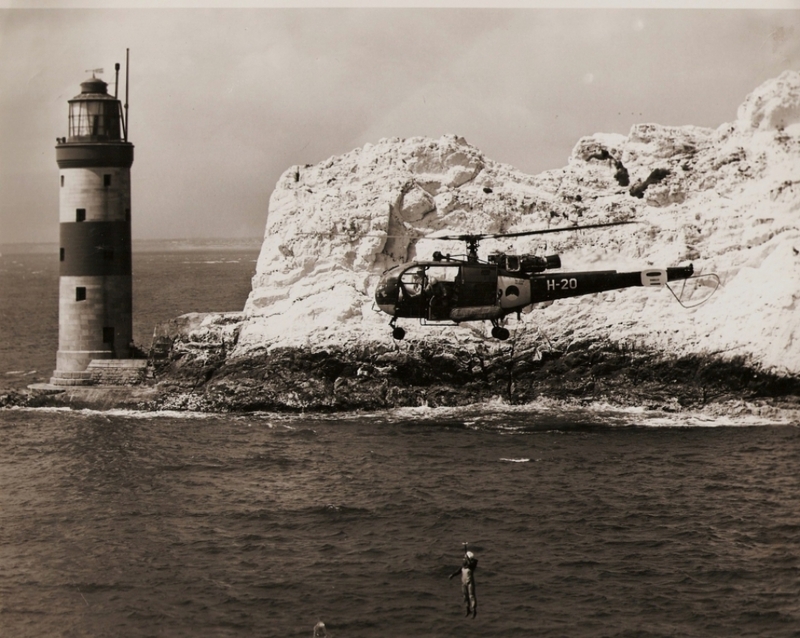 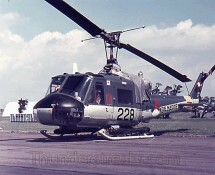 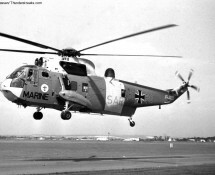 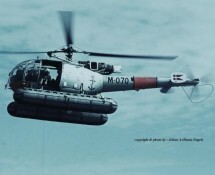 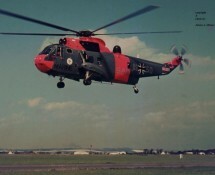 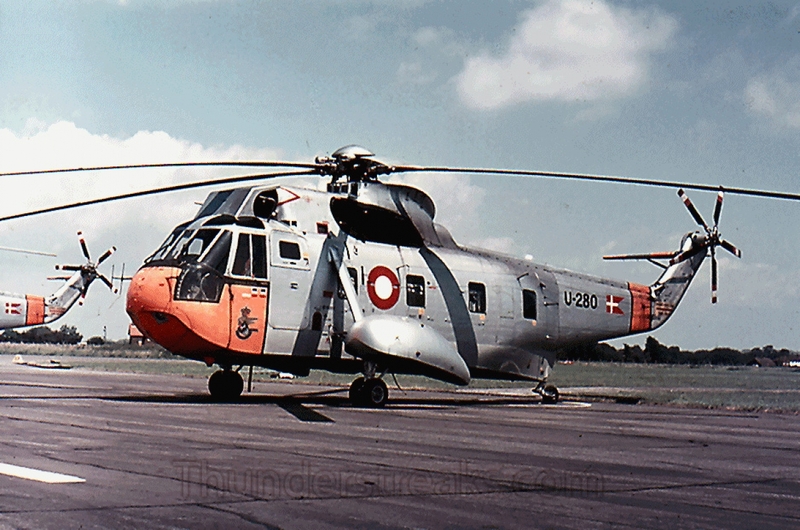 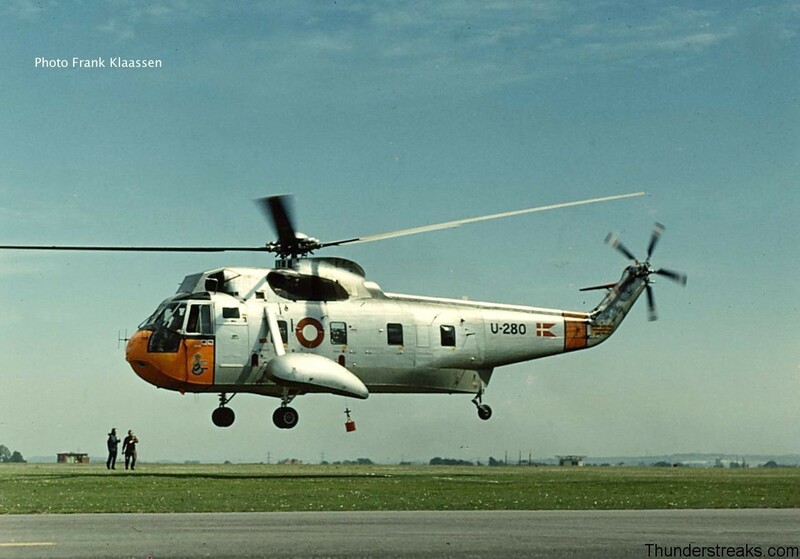 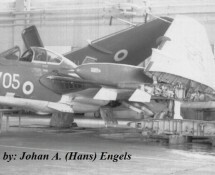 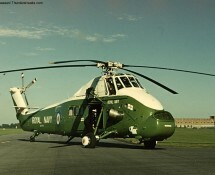 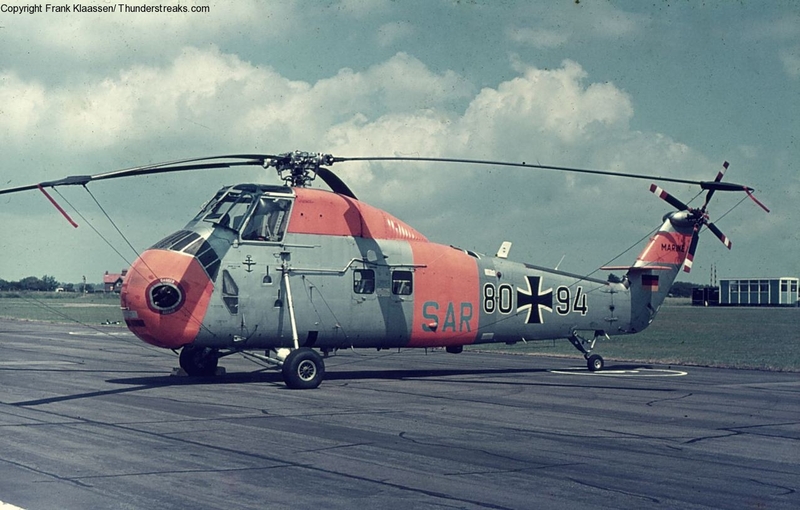 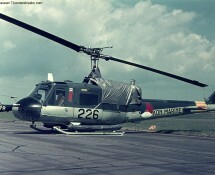 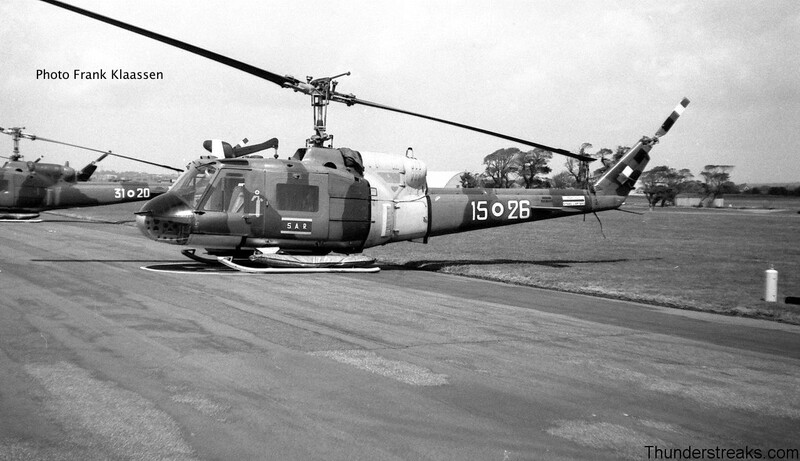 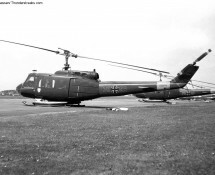 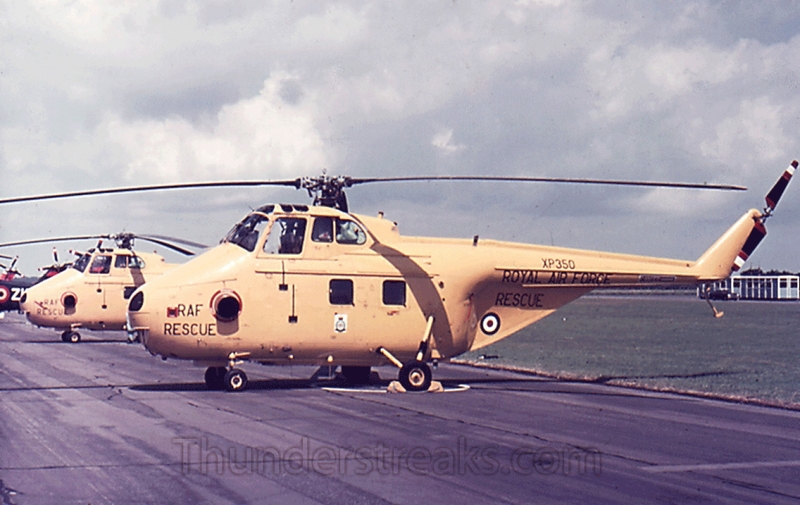 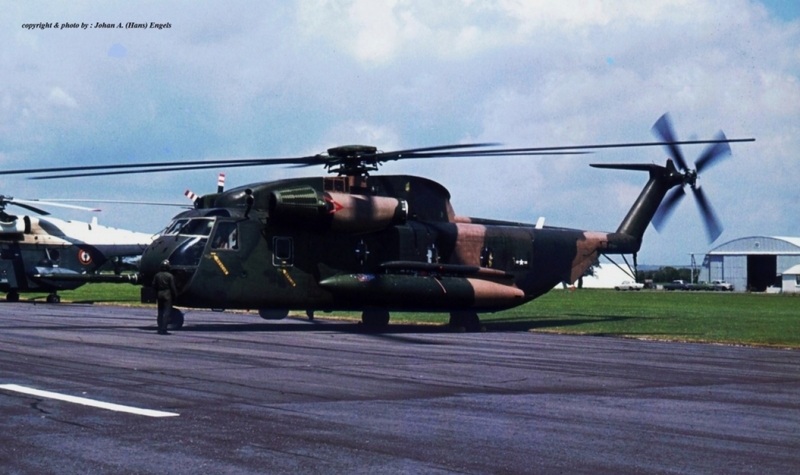 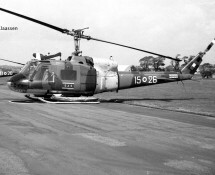 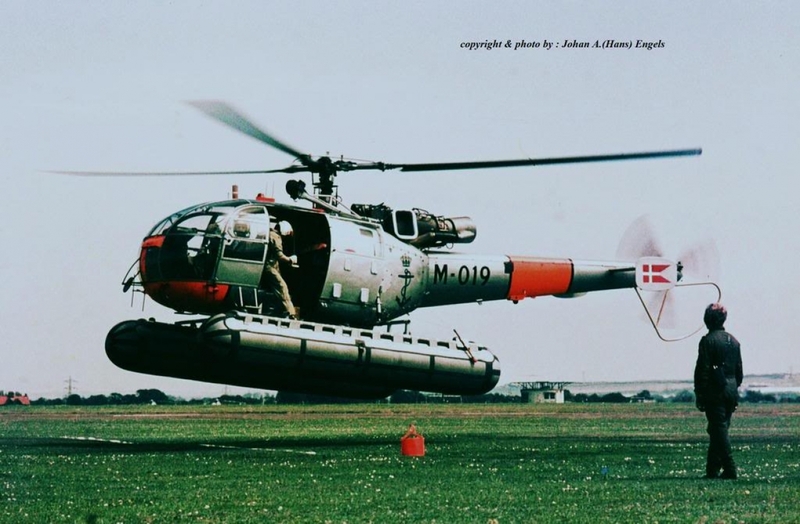 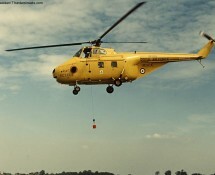 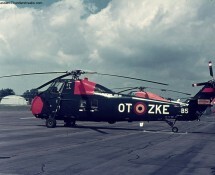 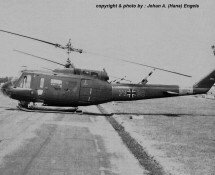 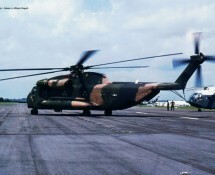 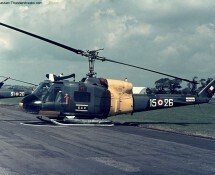 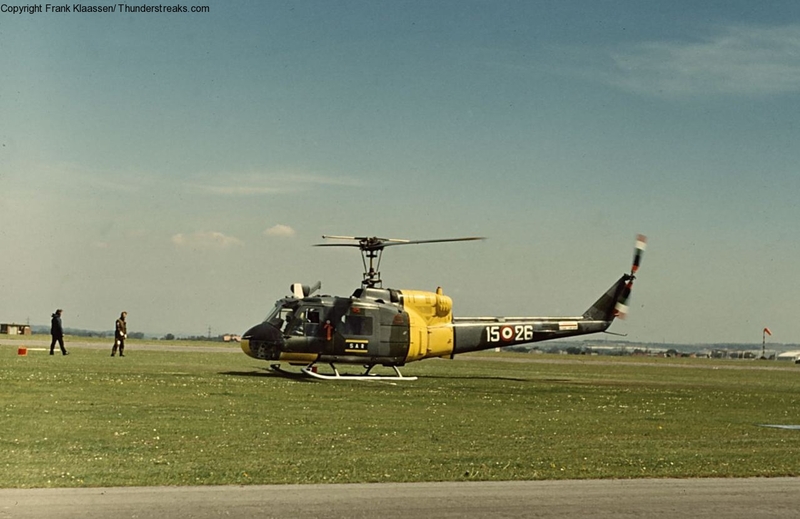 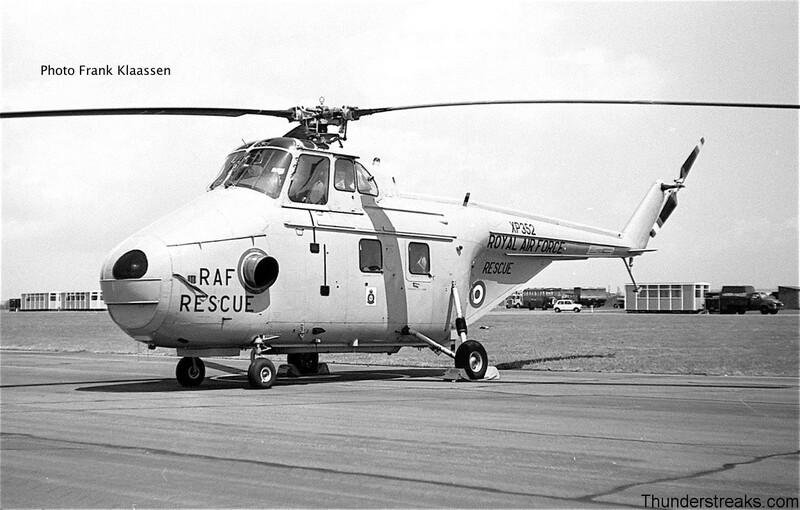 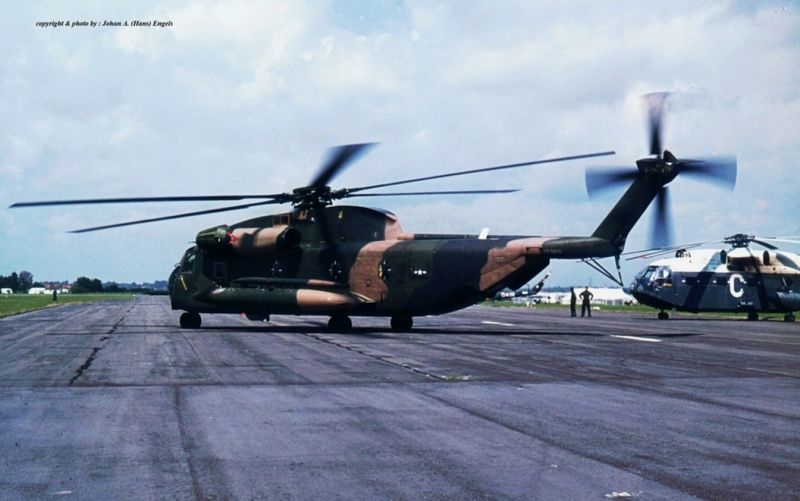 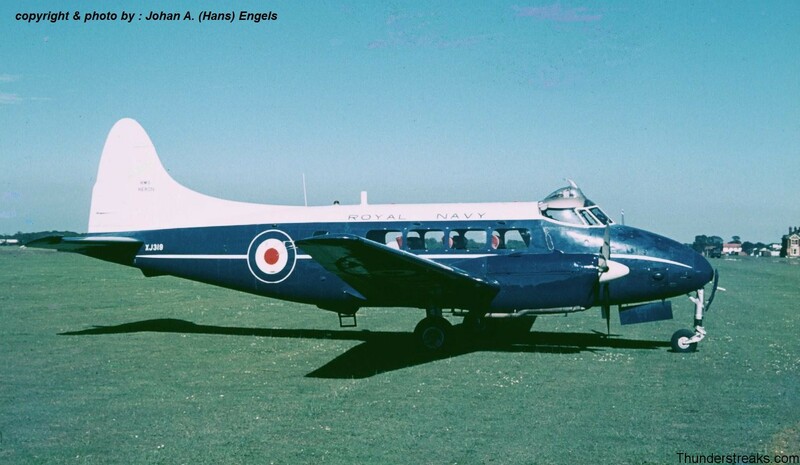 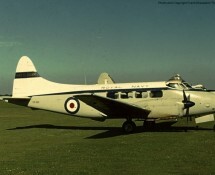 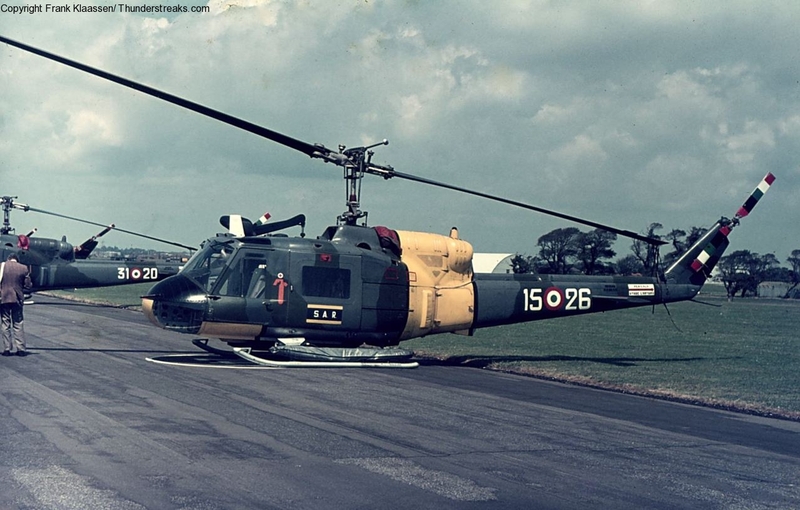 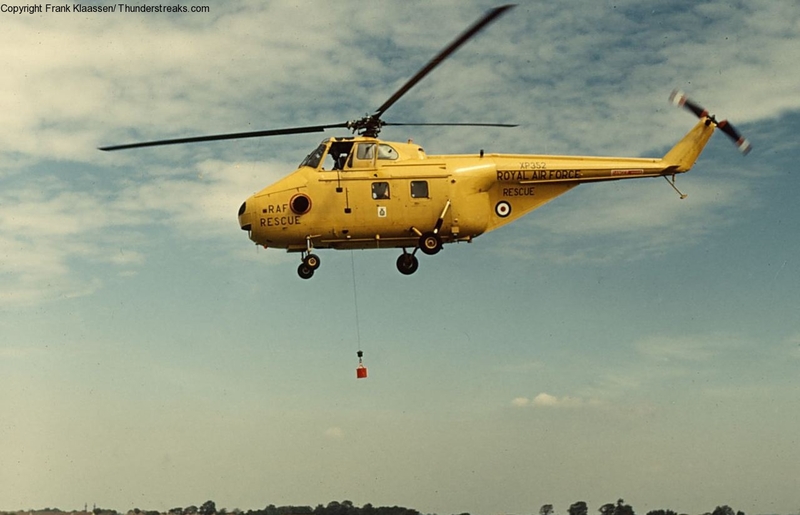 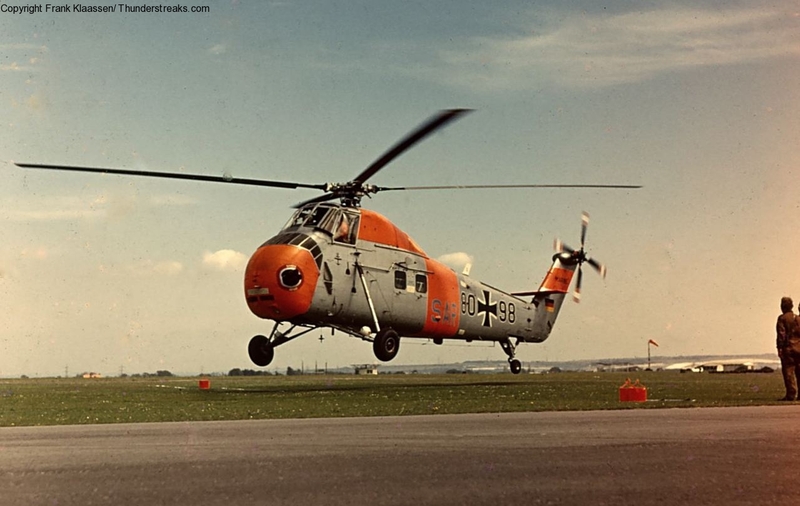 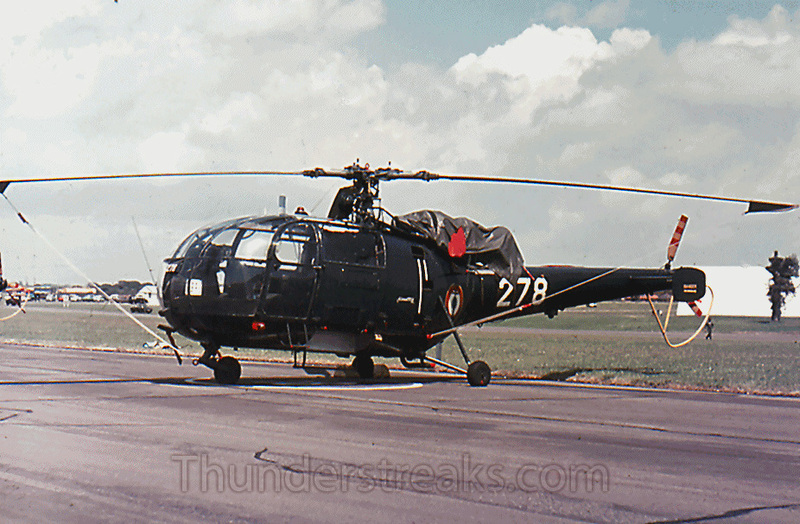 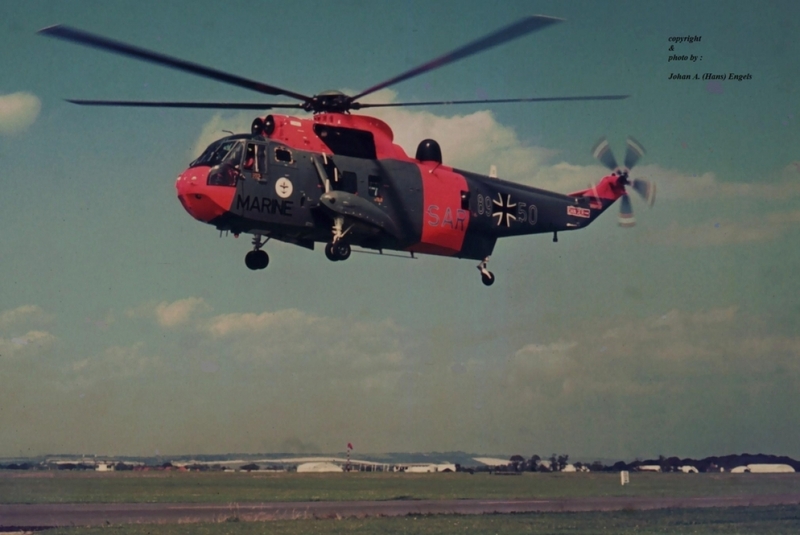 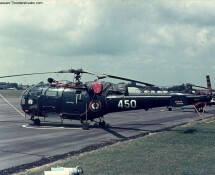 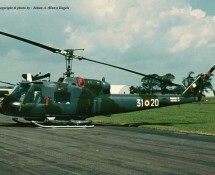 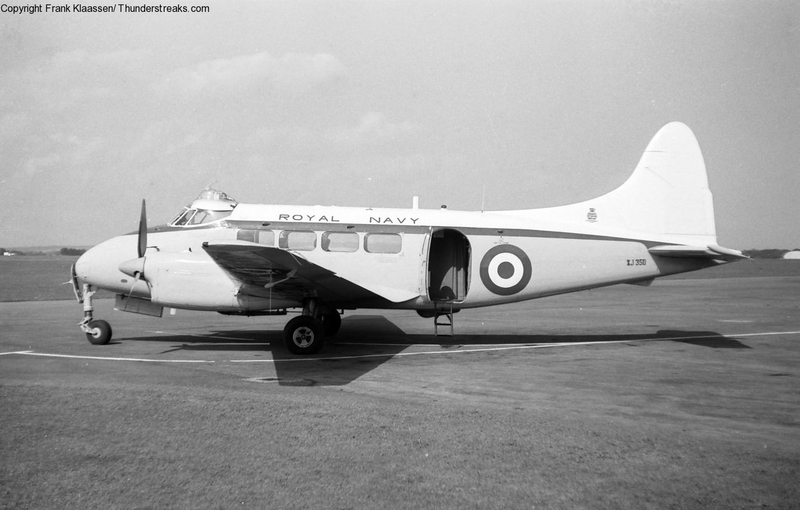 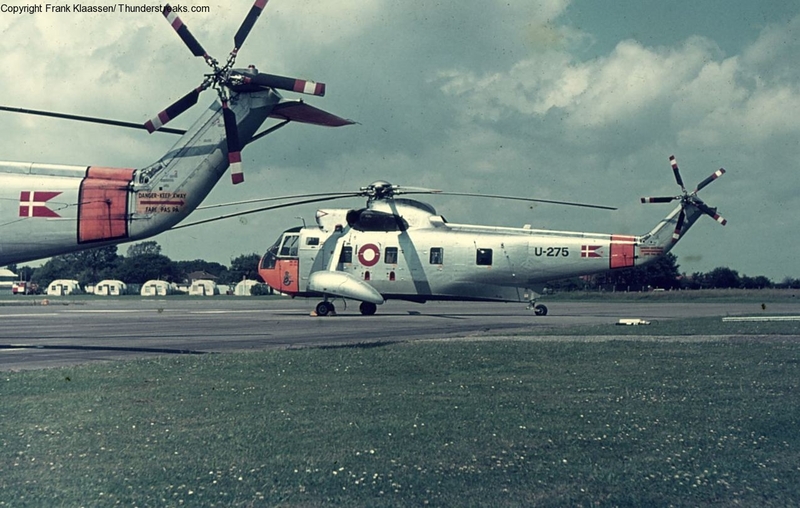 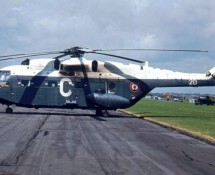 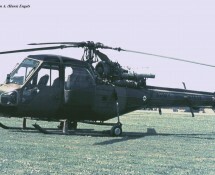 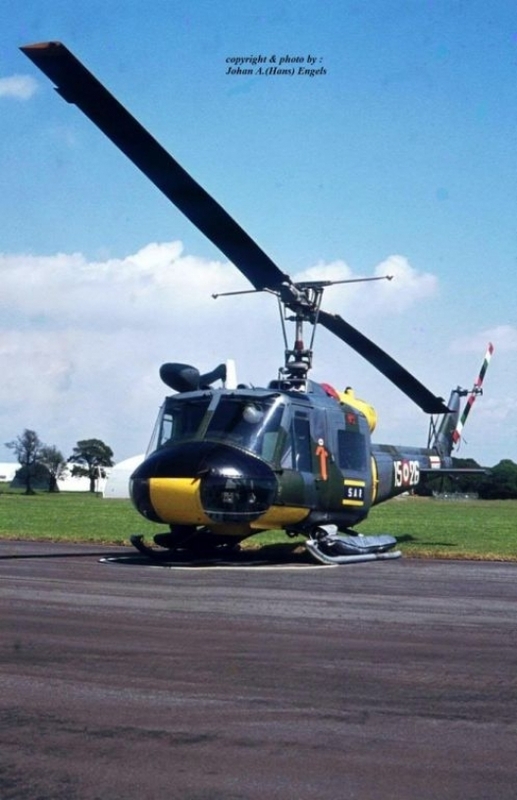 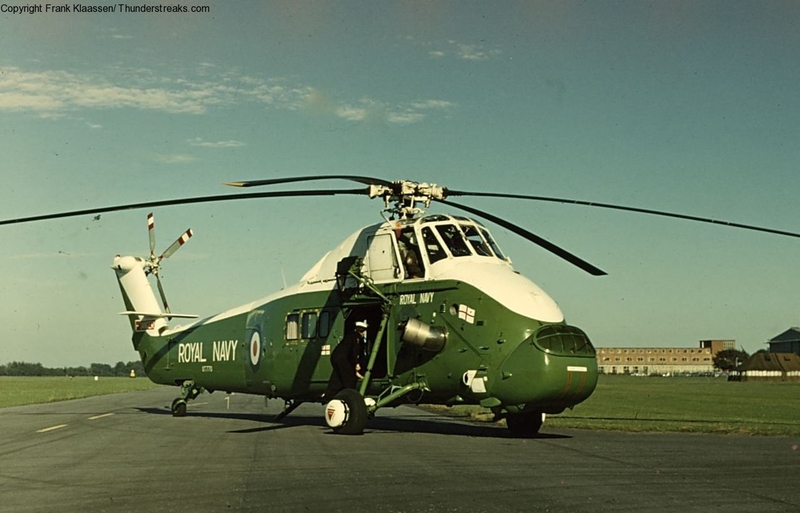 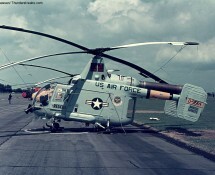 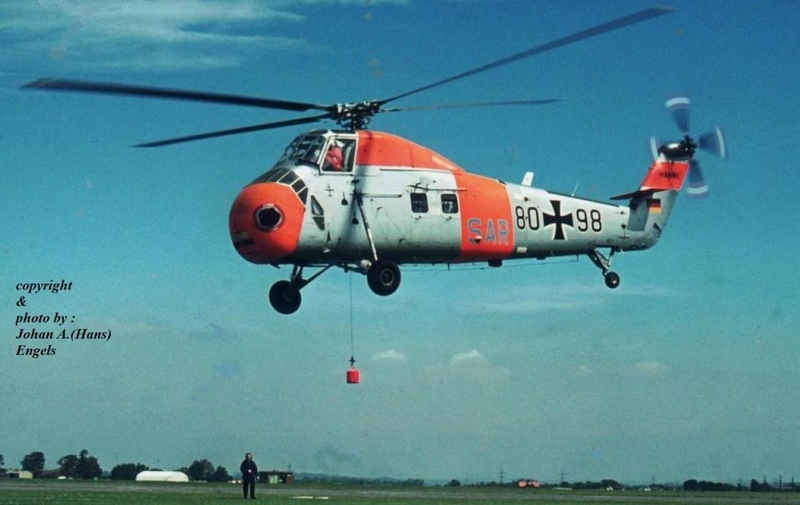 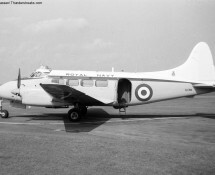 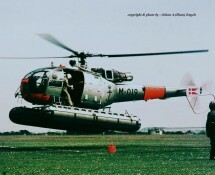 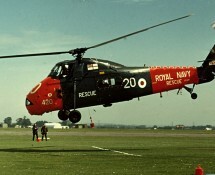 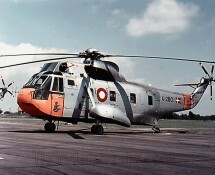 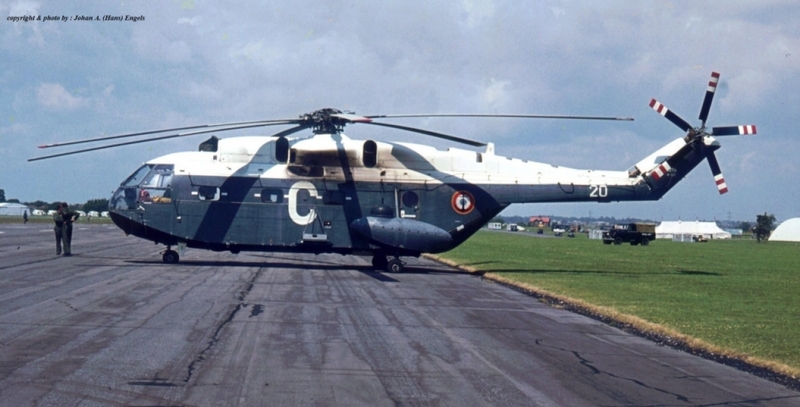 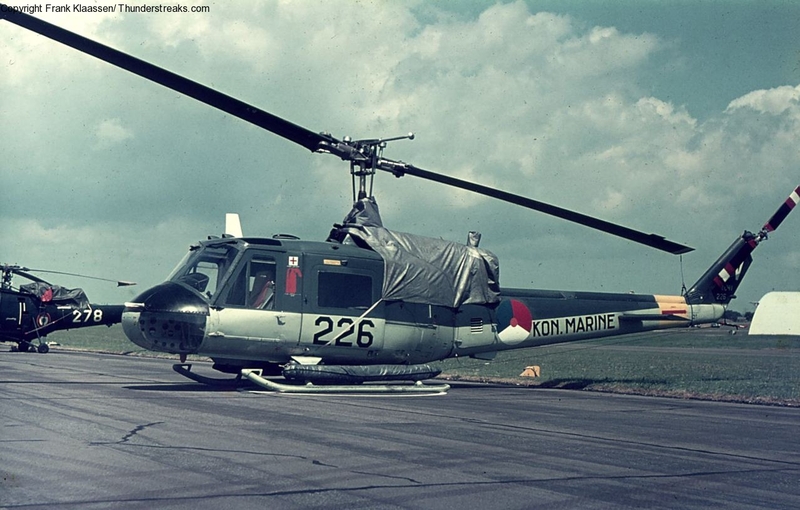 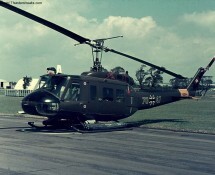 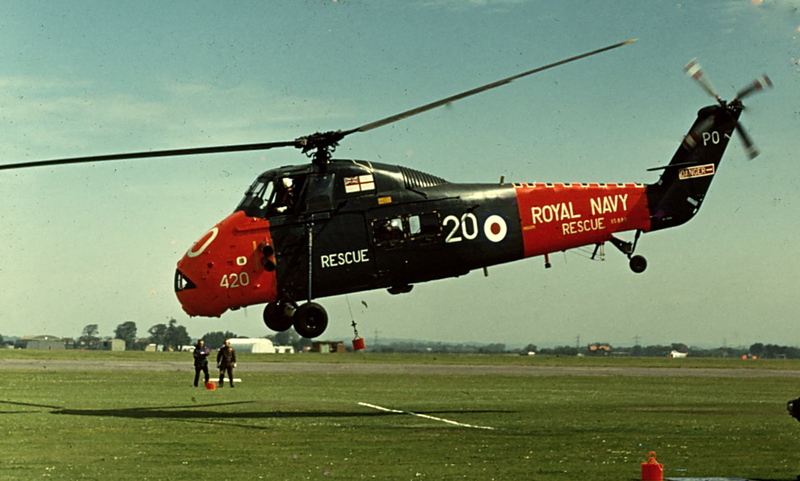 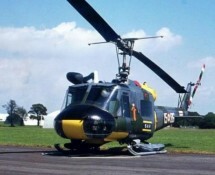 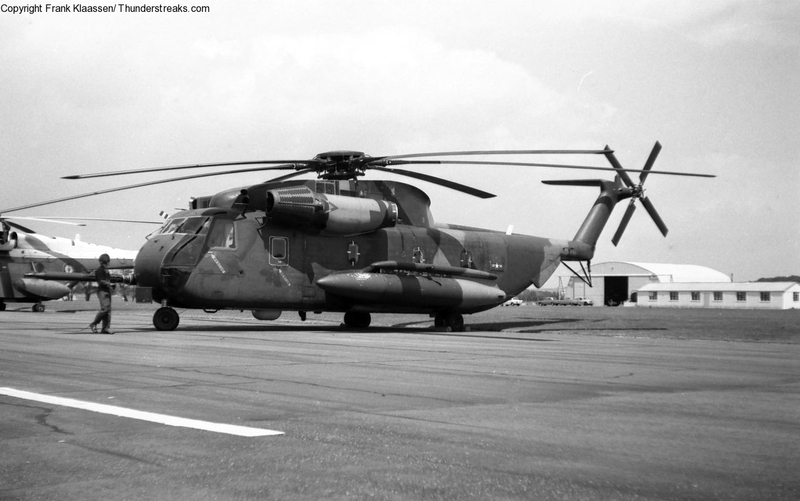 On 11-12 July 1972 Frank and Hans were invited to visit the NATO Helicopter Meet that was organized at Naval Air Station Lee-on-Solent, in Britain. 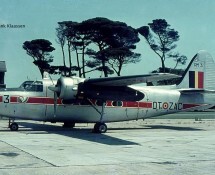 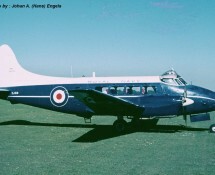 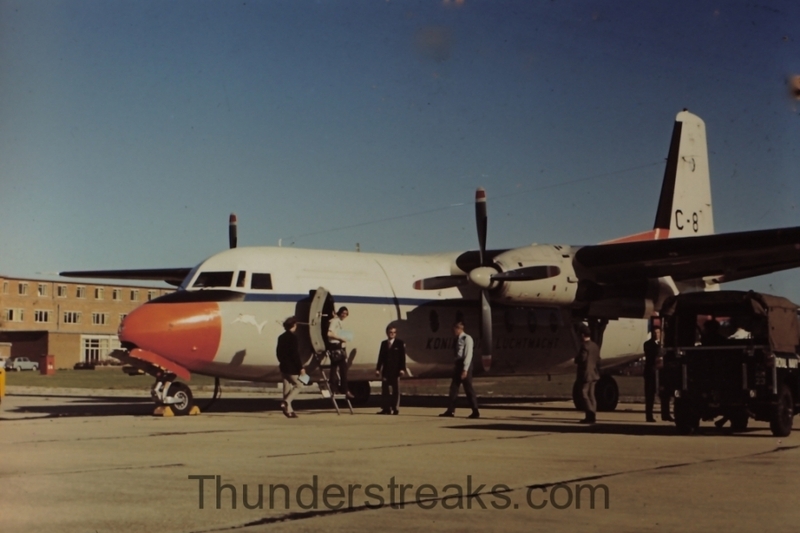 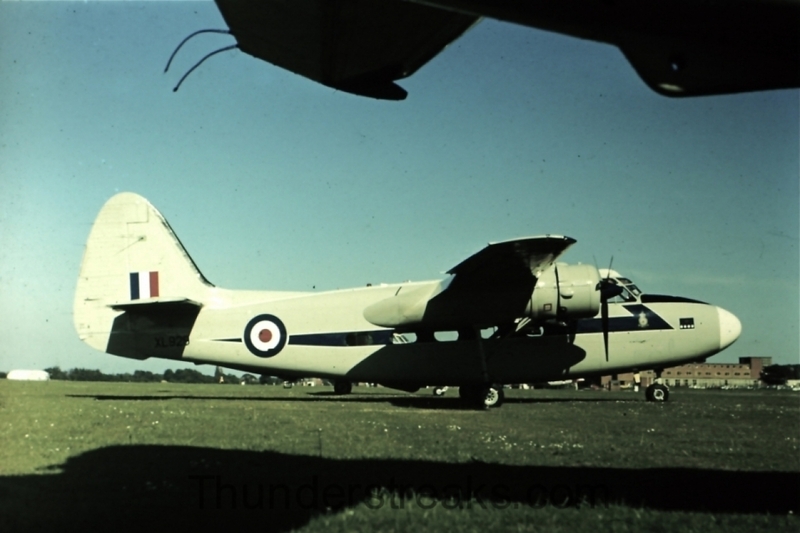 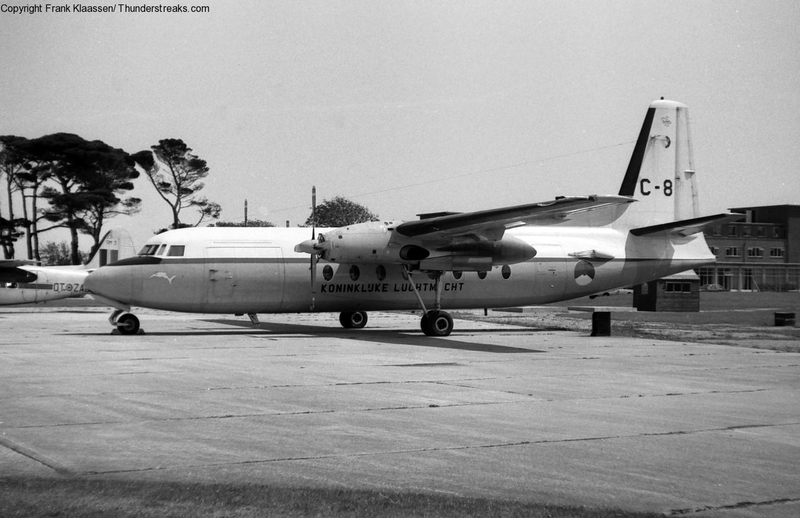 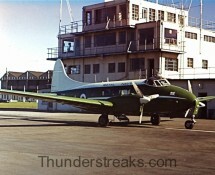 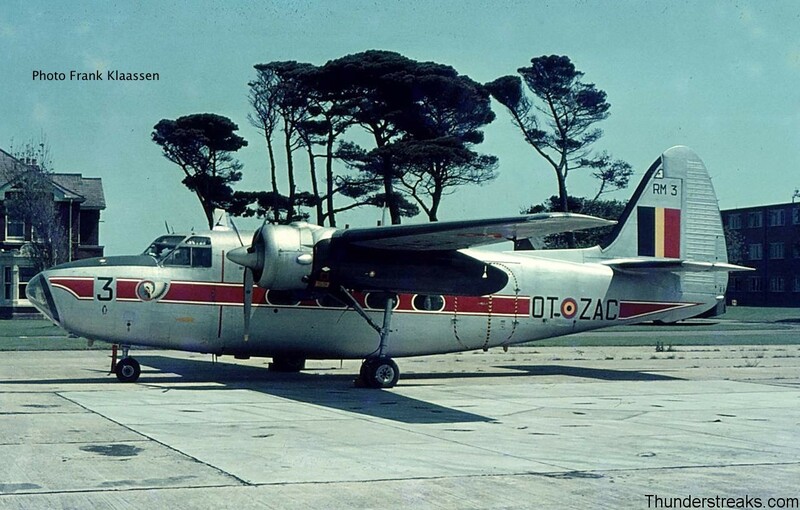 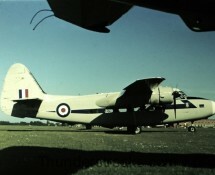 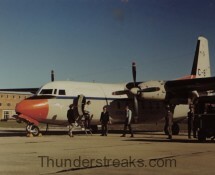 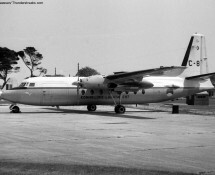 The flight to and fro was made in Fokker F-27 “C-8” of the K.Lu. 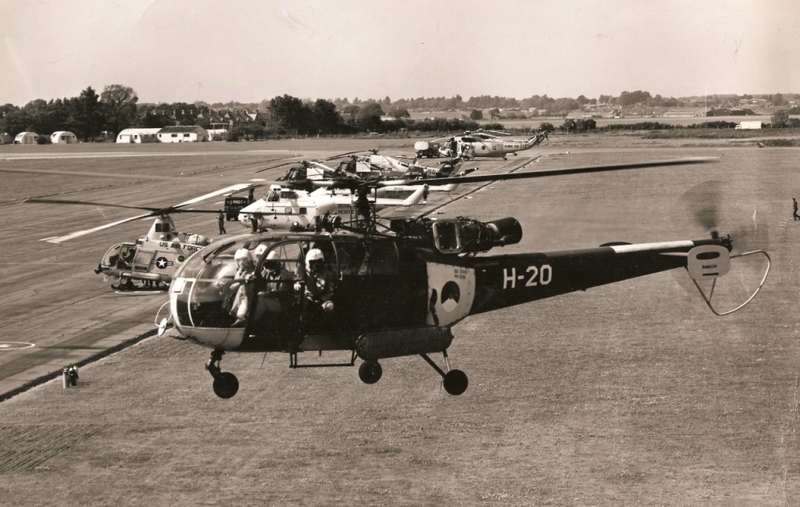 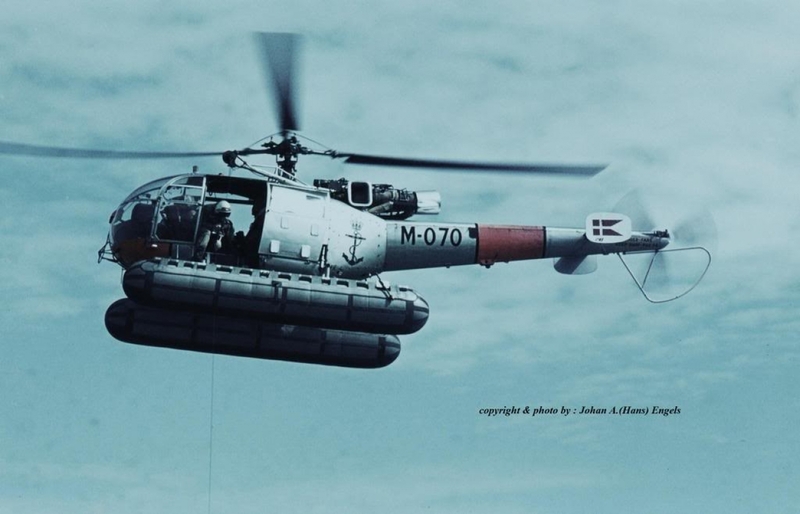 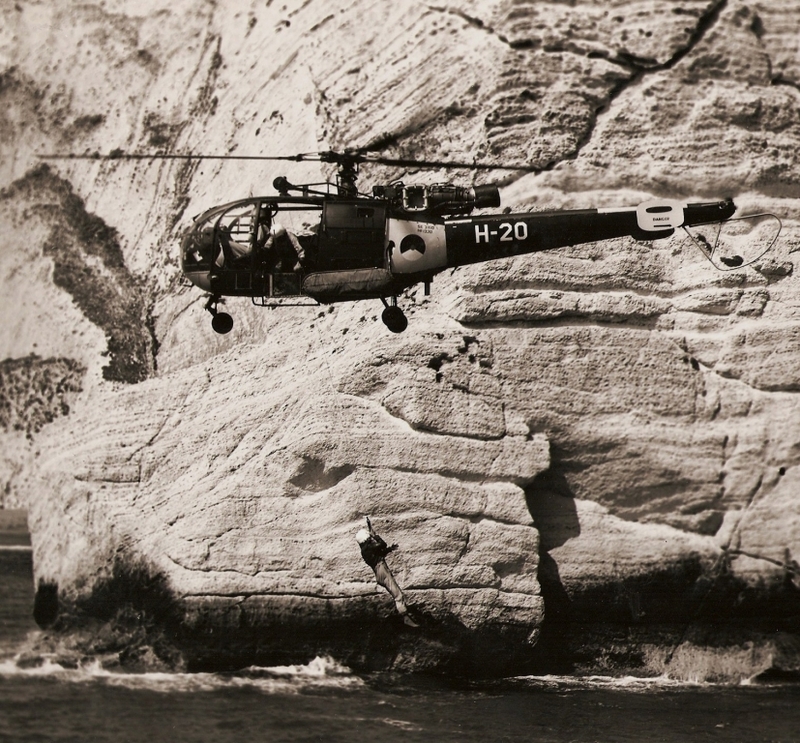 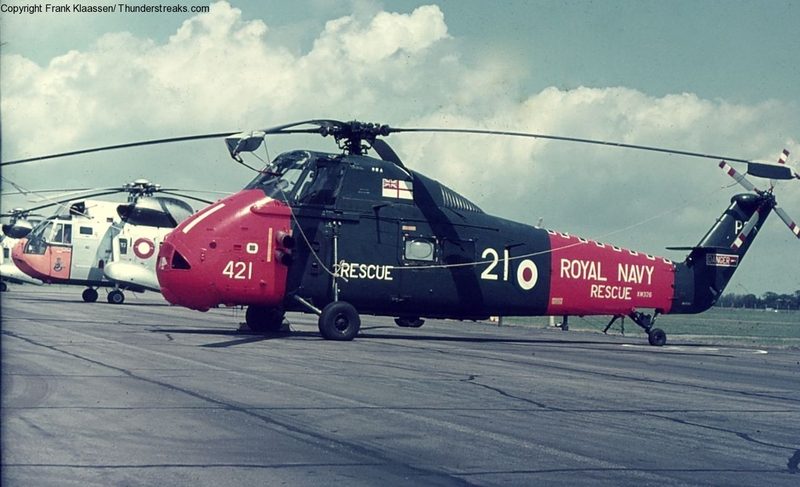 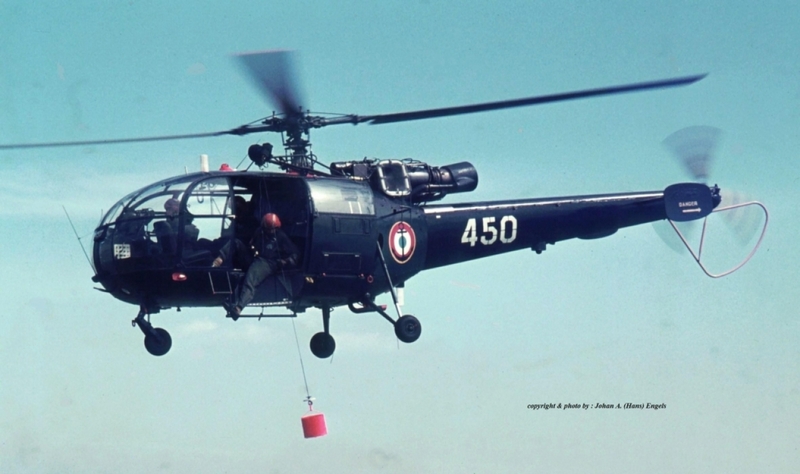 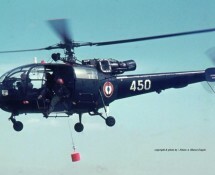 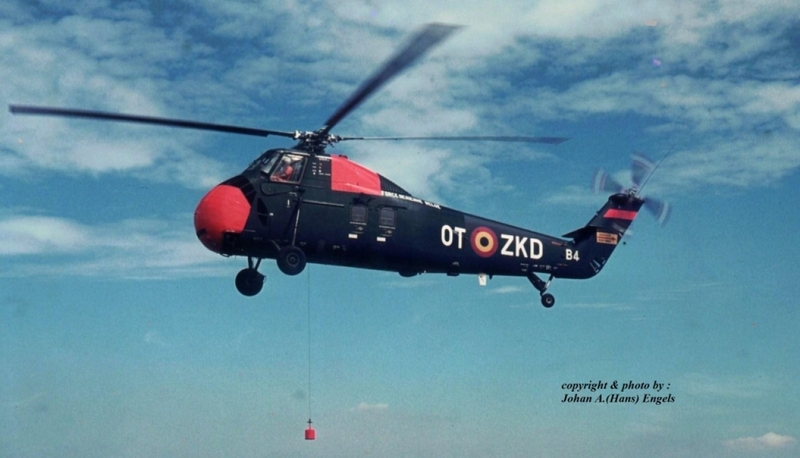 Participating to the Meet were delegations from the RAF (Whirlwind helis),Royal Navy (Wessex-helis), USAFE (Huskies), R.Danish Navy (Alouette IIIs), R.Danish Air Force (Sikorsky S-61s), R.Neth.AF (Alouette IIIs) , R.Neth.Navy (Agusta-Bell UH-1s) , French Navy (Alouette IIIs) , WGAF (Bell UH-1s), WGNavy (Sikorsky H-34s) and Italian AF (Agusta-Bell 204Bs). 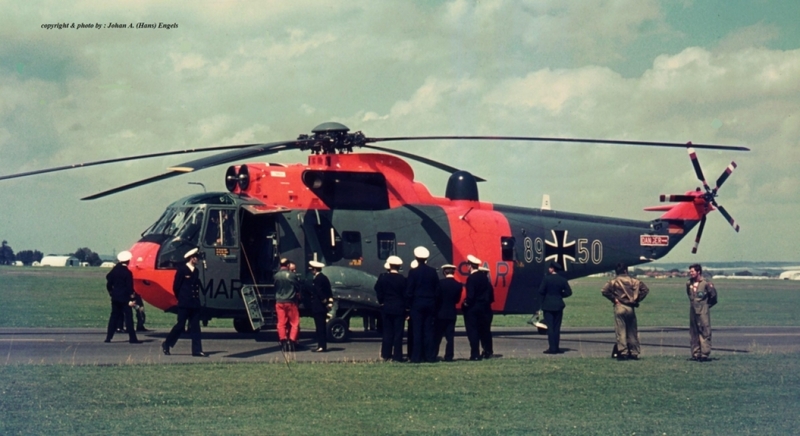 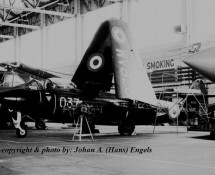 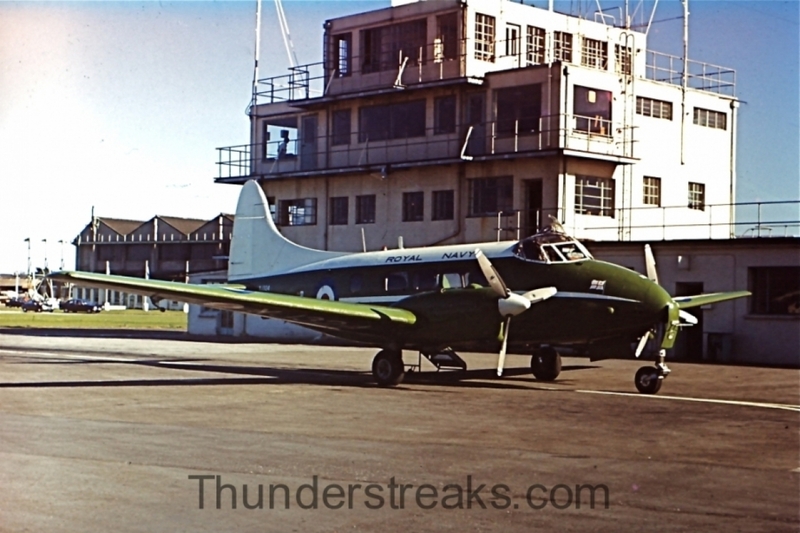 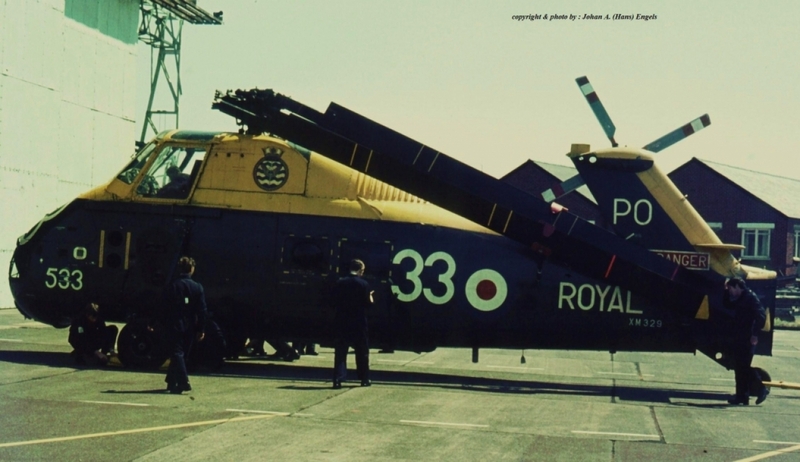 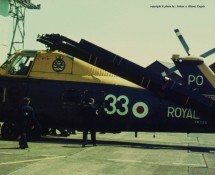 In this picture-gallery you will also find some slide-scans of a visiting German Navy Westland Sea King , a USAFE HH-53 , a French Super Frelon , a Belgian Pembroke and of various British military aircraft that were present at Lee-On-Solent during our visit while not taking part in the Meet .